"Northrup bravely explores some important issues in this video." — Do you still think so now that he took the video down? That's a very fair point, and one that I've considered not only as a result of the video being removed. Having reflected and taken in the discussion, I'd suggest that the video explored the issues bravely but perhaps not in the right way, and without enough scope and awareness to question his own version. Given the opportunity to write my accompanying article again, I would do it differently, and certainly with greater nuance. It's good to hear you say that, Andy. By no means do I wish to 'pile on' or publicly wave indignation as a badge, but there is a serious problem with just saying the video "explored the issues bravely but perhaps not in the right way". A number of the points made by Tony in the video are factually incorrect. That is not a matter of debate or controversy, they're just factually incorrect. Surely Tony was unaware of some issues, but just as surely he intentionally made claims he knew were not true. Pretty much any photographer familiar with McCurry's work knows that there was NOT just one photo taken of 'Afghan girl'. Almost certainly Tony removed the video after McCurry made it known he was contacting his lawyer, with Tony subsequently being informed that his own legal representation that he just, quite blatantly, violated civil law. Tony's account of how that iconic picture came into being wasn't brave but lacking nuance, it was factually incorrect, and the preponderance of evidence threshold is unquestionably met in demonstrating thus. McCurry took a number of photos of the girl, after photographing a number of other girls in the class. Tony's description of the one photo, how the girl was treated, where it was taken in the tent, along with a couple more points, were not only false, but intentionally false. The series of photos taken of the girl, by McCurry, have been widely viewed and discussed in photography circles for decades. For Tony to come out and quite blatantly lie about the events is certainly grounds for a civil suit. You state, falsely "photographer Tony Northrup explores the truth around how the image was created and the story of its subject that rarely gets told". Andy, it wasn't the truth. In just a matter of a couple minutes it would have been abundantly clear Tony's account wasn't true. Again, that's not a matter of debate. It simply wasn't the case that a scared little girl was told to do something she didn't want to, have her picture made, then run off. People can debate McCurry's account of the teacher, who thought it was important these pictures be made, that the girl was made to feel quite comfortable (the girl didn't run off scared, she went back to playing with her friends) and Tony's account (which is of course entirely hearsay and has been refuted by McCurry) but one can't say tell a story that we know is false because there are photos to prove it. Tony took the video down, and F stoppers should take this article down. Just straight forward journalistic standards: an article's driving premise is false, so the article should be removed and a correction issued. It's neither personal nor an insult (I'm a fan in fact) it's just an article that repeated demonstrably false claims so it should be retracted with a correction issued. Very well said, Steve! Another issue that really bothers me is the claim she was only scared of Steve McCurry, not the fact she was in a camp with her family running from the war. Perhaps Tony should brave the treacherous areas torn by war with his lovely wife and do a few interviews and capture images in war-torn countries. Tony totally misses the point that there is beauty even in war. He found the subject and did what he needed to give the world this iconic image. He did what every photographer should always do and that is, always get the shot! The biggest problem with his video was that he stated everything as fact and not opinion. He did it without independent research. He never took into account that maybe McCurry's memory of what transpired during those moments isn't perfect and that can also be said for the woman. After all, she didn't know about the photo for 17 years. McCurry probably took a lot of photos that day and during his time there. He didn't go to Afghanistan just to shoot that photo. While he probably suspected it was going to be a good photo he really didn't know for several months. So I doubt that either of them made a conscious effort to remember every detail of that moment. But to your last point, yes you're right. He got the shot and I don't think reasonable people would think that McCurry was unethical in how he made this photo. If foul play did occur, bad investigation work by Tony Northrop does more harm than good to the truth. Anybody can be a media today, but please be responsible. Also, viewers have a part to play. It's wrong to believe anything said by anyone. Nobody checks sources, but we should. It's also very wrong for a source like Fstoppers to repost without doing the work to check if the story is backed up. Fstoppers is not the only one. Every single photography related website reposted this story without checking facts. Where is YOUR research? Tony gave his. The girl said she was 10. McCurry claimed she was “about 12.” She KNOWS when she was born. McCurry did not even know her name, speak directly to her, speak to any of her family members, and CLAIMED she was an orphan, who moved there with her grandmother. Tony also reached out to NatGeo and McCurry, who did not respond before the video was released, and, when McCurry finally responded, (after seeing the video), he did the right thing to remove the wideo, go through the response, ask for further clarification, compare facts and figures, apologise for the two things he got wrong, corrected the mistakes, and listed all his sources, before reposting the video. He even waited for further clarification rom McCurry before reposting. So who is jumping to conclusions now? It was a great journalism piece, and done with great professionalism. (Although, I would have waited a little longer than a few business days before posting the video). Wikipedia has her birth year of 1972, which would have made her 12 at the time. You also have to take into account that when asked years later she may not have remembered exactly how old she was when the photo was taken. Memories change. 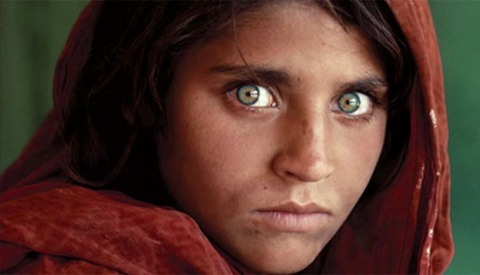 You must remember that McCurry said, “She looked about 12 years old.” and that Wikipedia is edited by humans who read. I would check the source on Wp, but it appears slow right now. What does it have for her birthday? People remember traumatic events in their lives. They really do. I find it funny that you trust McCurry who said, “she looked like,…” and Wikipedia over SG. LOL. It is basically the McCurry story, including the lie that her parents were killed in a bombing! I certainly believe McCurry over a no-talent like Northrup who has to use the work of others to boost his YouTube channel. You asked me my source for her age. I gave it to you. I'm not going to debate what is or isn't accurate on Wikipedia. I really don't care who you believe. You've made it your mission to give everyone in this thread a thumbs down and debate them. That's kind of pathetic. My source for her age is Sharbat Gula. Your source for her age is —ultimatuly— McCurry. The Wikipedia article did not give the source for her stated age as 12, nor for her birth year, but when one looks at the sources for the Wp article, it is clear. If you think that a man saying, “She looks like twelve,” as more reliable than a girl saying, “I was ten,” then more power to you. Bear in mind that young men and women from that side of the world tend to appear older at that age than Western people, then look younger in there thirties and beyond. From age fifteen onward, I was never carded. today, people think that I am in my thirties. I only downvote those who give false data as truth without the research or sources. When someone outright lies, and says things like, “She was twelve, [because McCurry says so], and does not know when she was born, [because Wp says so, based on McCurry's words], then, yes! I downvote that post. I will always downvote a factually incorrect post, (but I never downvote opinions which differ from mine). What is pathetic is that you are faced with the truth, but because it differs from your stance, instead of accepting the truth, you argue it to support your position. McCurry continued to disrespect Sharbat Gula by calling here Sharbat Bibi, as if that would make it cute or something. (The Wp page disrespects her by calling her “Gula.” Her name is, Sharbat Gula). P.s., Northtup's source is Sharbat Gula. Northrup's source is articles he read. He never interviewed anyone, never went over to investigate. He's an armchair hack. My source is not McCurry. As I told you it is Wikipedia. Here's the screenshot. If you looked at a different page, that's not my problem. If you looked at this page but didn't see the year of birth, that's not my problem. Dude, get a life or ask the Northrup's if you can move in with them because you have some issues. …Which quote McCurry and Sharbat Gula. It is not, “I read that Steve McQueen said,….” It is, “McCurry is quoted here as saying,… and Sharbat Gula is quoted here as saying….” That is, the ultimate sources are McCurry & Sharbat Gula. He tried. He sent communiques to both McCurry and Nat Geo. Neither one responded before the first article published. After the first article published, McCurry's team contacted Tony, saying that they have a few corrections which they are preparing. 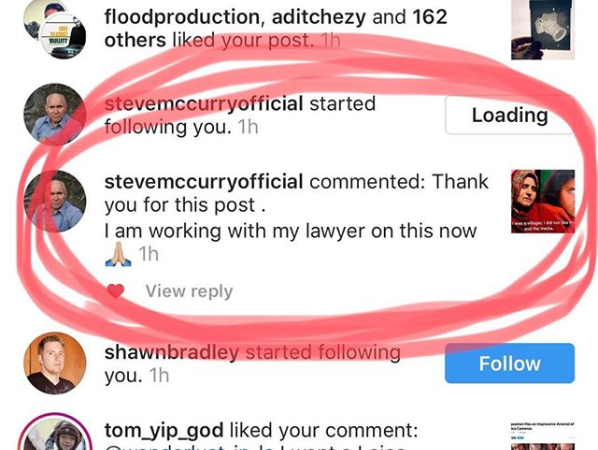 Tony took down the video and waited for the ‘corrections.’ On getting the response, Tony contacted McCurry's team for further clarification and explanation. Nat Geo never contacted Tony. 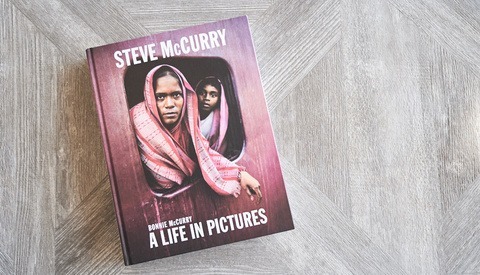 …Which is sourced mainly by interviews from McCurry, so your ultimate source is McCurry. I read the article. It is full of the same falsehoods which McCurry is quoted as saying by Tony. Wp has its sources listed at the bottom. The source of the birth year of Sharbat Gula is not given. It is listed as, ‘circa 1972,’ meaning, they don't know. It is extrapolated from their sources, which are interviews by McCurry. If you do not know how to use Wikipedia, that is your problem, and I am just trying to help you. I'm not even going to read your last reply. Dude seriously, you need to get a life. Get off your computer, pick up your camera, go outside and take some photos. Life is too short for pointless arguments that have no effect on your life. What is the point of being a coward who does not read replies then complains about them? If you don't want people to reply, do not post to public forums. Posting to a public forum, then refusing to even read replies is proof of trolling. Expect no other reply from me, ….unless you reply with an actual relevant comment. Again, not going through an anonymously posted, unresearched, set of claims. If someone wants to accuse Tony, accuse him boldly, with precisely what he said that was false, excluding what he already corrected. P.s., he is NOT a journalist, never claimed to be. This is his first such article, and was NOT intended to be a journalistic piece. You are right: he is no journalist. Not by any stretch. But he does pretend to be a journalist. He claimed that he was telling the "disturbing true story", pretending to have uncovered it with his "research". And he commented to Ted Forbes that he had "broken a story" about the Afghan Girl photo. Again, the man pretends to be a journalist. The problem is that he utterly fails. Fails at journalistic methods (interviews no one, slants everything) and fails at journalistic ethics (produces a slanderous hit piece). I can't blame you for not wanting to defend each of Tony Northrup's false statements and misrepresentations individually. There are simply too many, and they really are indefensible. No need to waste more time defending the clickbaiter. To he does not. He actually did a story. THat his not his occupation. I bake fom time to time. That does not make me a baker. I cook from time to time. That does not make me a chef. You claimed that Tony was the worst journalist in the world. That is to what I was responding. He NEVER pretended to be anything, but a person who wanted to do a vlog about the “Afghan Girl” image, but [re-]discovered some truth about the image, and did not feel good about doing the original intended video, sharing what he found in his research of the image. YOU AND YOU ALONE made him out to be a journalist. Did he research? Yes! Did he reach out for comments? Yes. Did he interview anyone? YES! (…Which is not always necessary to do journalism). Did he slant anything? No. (Well, not on the topics he was covering. You can say that he never mentioned x, y, or z, but that may not be germane to his story). Did he slander anyone? No. Did he attack anyone? NO. Since YOU CLAIM he slandered someone, and since you claimed he slanted something, and since you claimed, he attacked someone, put YOUR NAME in a post so that we can see these wrongdoings, and comment on YOUR findings. As I said so many time already, I will not comment on a document written by an anonymous coward who would not put his name to it, and would not allow comment. Sorry very happy to see FS readers not falling for this chode like the rest of the internet seems to be. What a despicable display of jealousy, self righteousness and greed from Northrup. Click bait video for profit by big mouth youtuber. 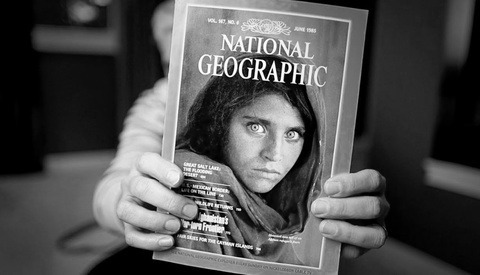 (2010) "Renowned photographer Steve McCurry earnestly recalls shooting the photo 'Afghan Girl' for National Geographic. 'Afghan Girl' is often described as one of the most recognizable photos in the world". One Northup overlooked in his research - McCurry in his own words describing the shoot that seems to debunk a few of the misconceptions alluded to. I do look forward to seeing what NG and McCurry (or their lawyers) make of this. Well, I see TN very quickly deleted his slanderous video. One photographer has dedicated his life to capturing and sharing some of the most iconic work to date. The other works to sell whatever or whoever is willing to sponsor him. He may have gotten word that McCurry, via an Instagram comment, said he is looking into legal action. The video is still on TN's Facebook page. Bad move on Tony's part if it's still up. McCurry can prove, with the series of photos of the girl, that Tony's account is false. If McCurry were to meet the preponderance of evidence threshold that Tony knew those other images existed (which would very easy to demonstrate considering Tony actually stated he was aware of the shoot, familiar with McCurry's work, so on) Tony committed a tort and intentionally libeled McCurry. It's actually called an intentional tort. Please do some real research. You lose the truth the moment you claim she is wearing a Burka. Learn the difference between a hijab, niqab and burka? From there your story unwinds. Just trying to get some publicity off something you didn't create. If they left Afghanistan in the early eighties they were fleeing the extremists. Sounds like a Square Space ad. Tony Northrup misrepresented a bunch of his "evidence" in order to demonize Steve McCurry. He used an interview clip in which Sharbat Gula talks about the famous photo, but conveniently left out the part where she says her husband was actually happy about the photo. Maybe Tony should actually read What Ste had to say about this photo and shooting it rather than make his own inaccurate assumptions. First. Steve was not shooting this image specifically for the cover at all and while in a situation like that you don't actually have time to think like that. He didn't see the image until he was back in the States because unlike digital you don't get a preview on the back of the camera!! This wasn't the first choice by N.G. for the cover and the art director actually didn't pick it at all and it was put in the also rans pile! It was the editor that saw it and decided to use it on the cover! So Northrup's assumptions here are wildly inaccurate! The idea that McCurry was exploiting a model for free is complete crap. He saw the face etc and wanted to shoot it. Remember this WAS under war conditions! And journalists have to be careful about paying for shots as it reduces credibility!! To say that both McCurry and NG were exploiting her to make money smacks as he is doing the same thing by promoting this take down!! I get the impression the Tony is jealous that McCurry is a way better photographer than he is and happened to create a very simple image that most people all over the world know whereas he hasn't! Shame on you Tony Northrup! And anyway this was taken over thirty years ago with the idea of showing the horrors of wars etc! Whining now won't change a thing that happened way back then! Also, McCurry has shot about a zillion faces that didn't end up as covers. His portfolio has countless portraits that were never covers. So the idea that he was shooting this particular one "for the cover" is a stretch. Similarly, the claims that it's a glamour pose or that there's negative space for the magazine's logo are just Tony Northrup lies.